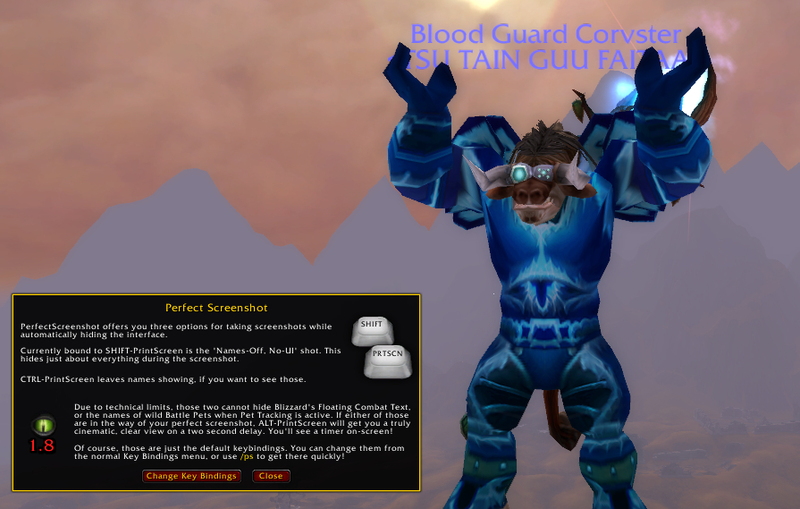 Perfect Screenshot offers key bindings to automatically hide your interface while taking screenshots. SHIFT-PrintScreen shoots with the UI and names hidden. CTRL-PrintScreen shoots with the UI hidden, but names shown. ALT-PrintScreen temporarily disables combat text, and shoots after existing text has cleared from the screen.